If you are looking for a good contemporary novel with a touch of Gothic horror, then this book is for you. As in her first novel, The Essex Serpent, Perry's tale revolves around an old legend which seemingly comes to life. Helen's life is forever changed at a coffee shop in Prague, when her friend Karel hands her a mysterious bundle of papers. She is distressed to find him in a state of disarray and fear, but it is unclear why. He points to the papers as explanation. They contain his research: accounts of encounters with Melmoth, the Witness. Legend has it that Melmoth was condemned to wander the earth eternally and bear witness to mankind's worst atrocities. Sometimes she appears as a woman shrouded in flowing black cloth, or a shadow one catches out of the side of one's eye, or the feeling that one is being watched, or even just a prickling at the back of the neck. Helen soon begins to suspect that she is being stalked… either by Melmoth or perhaps by her own guilt. 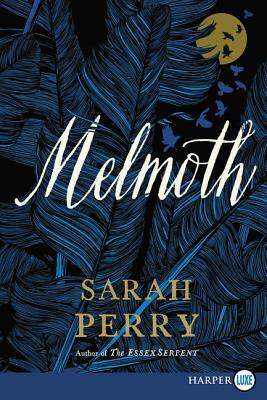 While enjoying Perry's masterful storytelling, I found myself contemplating the nature of one's conscience, and at times even wondered if Melmoth was watching me!